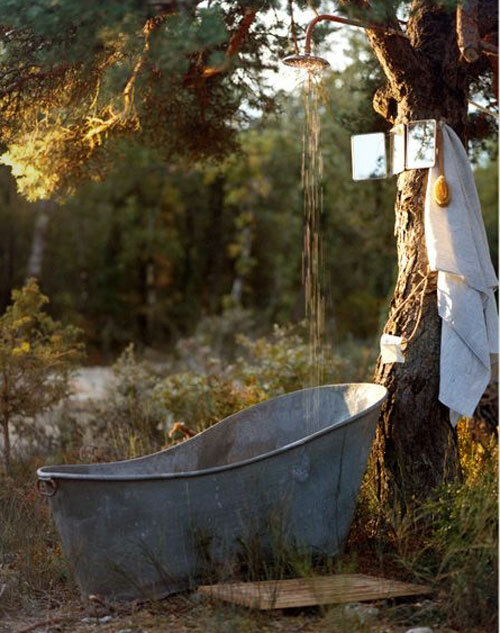 I've always loved the idea of bathing outside-- If I live somewhere semi-private when I grow up/ get out of school/ am not in Manhattan, I fully intend to have an outdoor bathtub or shower. The thought of bathing in water and sunshine at the same time is just too lovely to resist. and what do we call this?